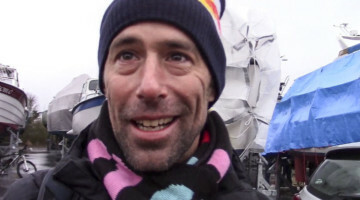 USA Cycling Worlds Team and Beyond: Where Does the Money Go? You win Nationals. You place top 10 in a World Cup. You work all season. You make the US Worlds team. But now, unless you’re Katie Compton, or you have a team that is willing to foot the bill for a flight to Europe, including bike fees, you need to—very quickly, since the Worlds team was announced on January 13, less than two weeks before you would need to head to Europe—come up with the money to fly to Brussels, Belgium, and if you’re a discretionary team pick, you also need to find $800 to pay for the service fee for room, board, clothing and other race essentials. This can be an expensive undertaking, especially if you’re a Junior like Peter Goguen, who won Nationals on last year’s bike with canti brakes and blacked out non-sponsor specific wheels. Some Juniors are fundraising right now for the trip, but with only two weeks between making the team and needing to leave for Europe, it’s hard to believe that they’ll raise the money in time. Some of the bigger teams, like Cal-Giant, have the funds to at least help racers get to Europe for Worlds. 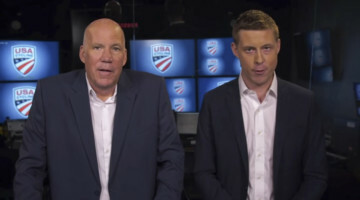 But for those who weren’t expecting the Worlds team spot, like Nationals standout Allen Krughoff, the money wasn’t in the team budget, and since the goal is to run the money out by the end of the season, the coffers are unfortunately fairly low. 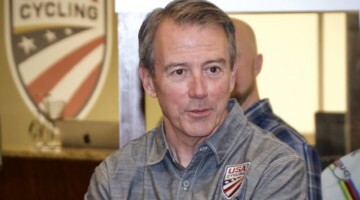 Should USAC be doing more for the Worlds team? Arguably, Katie Compton, the one rider qualified for Level 1 funding, is the only one who potentially could win Worlds. So should USAC be paying for other racers who most likely won’t make it into the top five? 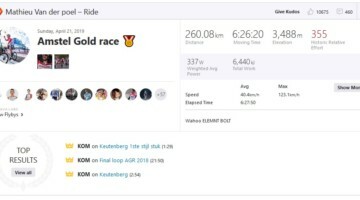 Right now, only Level 1 Funding racers will get the same treatment that McCormack got, and the only racer who meets those qualifications (being on the podium at least year’s World Championships and demonstrating excellence throughout the season) is 10-time National Champion Katie Compton. 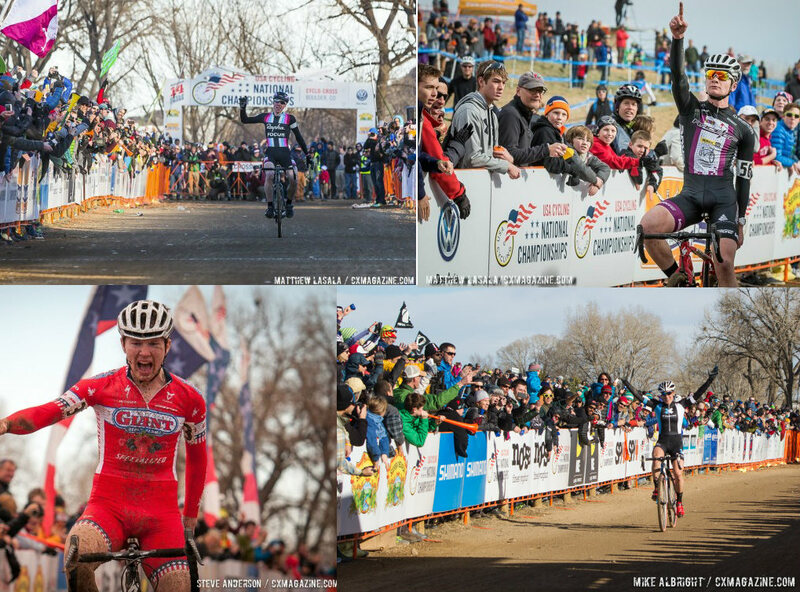 Of course, this all is part of a larger question: How should USAC be funding cyclocross? 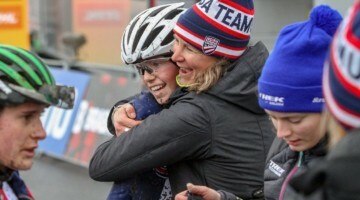 Does USA Cycling spend enough money on cyclocross, and should the money they do spend be focused on funding a Worlds team over there, or should they spend more money on expanding the sport from a participation and junior development standpoint? When they use other countries as a comparison, I’d like to know how much racer and promoter fees go towards their governing bodies. The reason why we’re so up in arms about the lack of rider funding is because of all the fees we have to pay to usac. According to USACs most recent attempt at damage control, the “USA Cycling Athletics department spent $25,000 on development for 23 riders…. We have budgeted $30,000 for the 2014 world championships. To fully fund all 22 riders selected to compete at the world champs, we would have to decrease how much money is used on rider development…. Spending more money on one discipline’s worlds team would mean taking funds from another athletics program possibly in another discipline.” Exactly. 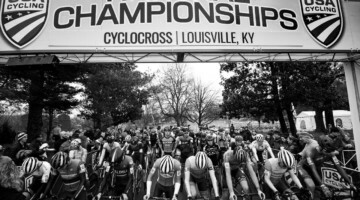 Based on the 2012 Annual Report the organization spent 4.1MM on “Coaches, Training Centers and Athletes” and $1.6MM on “National and International Events.” Compare those numbers to statistics quoted in a number of magazine articles and roughly 15% of all USAC events and racer/days were cyclocross. 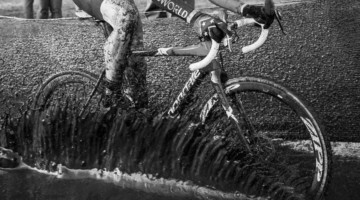 While I can not even begin to fathom where that $5.7MM in spending went, it is pretty clear to me that cyclocross is not getting 15% of it, if they can only scrape together $30K for a worlds squad.Once again, USAC decided to invest our money in a carefully worded, self-aggrandizing press campaign, rather than actually shedding light on their financing or being honest about their priorities. AndrewStackhouseExactly. USAC is going to make this even worse this year. The consolidation of license fees will muddy the waters even more. This does not surprise me – you essentially “crowdsource” your organization by expanding your net ever larger to get a bigger pot of gold but in the end, you still only return money to the original sports. I think the cross community in the US needs to take a step back and determine how they see the future. Unlike sports elsewhere in the world, and for that matter cycling for Olympic sports in the USA, USA cross has evolved as a grassroots, rider driven branch. This model doesn’t not coexist well with the existing funding and spending model that USAC is. I don’t know what the answer is to this problem but it is pretty clear that at this time cyclocross in the USA is funding other disciplines. A final observation. First, I love KFC … this is not an attack on her. However, the funding setup wherein Level 1 riders get a full ride is ridiculous. She has know for some time that she is going to Holland. She has had time to find flights and set up everything. The new selections are the ones who need the help. USAC is essentially saying that they only care about the riders that are likely to win … kind of a sad response. I have not renewed my license this year …. I may when racing season comes around but right now I am considering not doing it at all. There are plenty of events around to do that don’t need it and the more these issues come up, the less inclined I am to support an organization that doesn’t represent what I feel is right.